Over the years we gained coffee knowledge and contact. 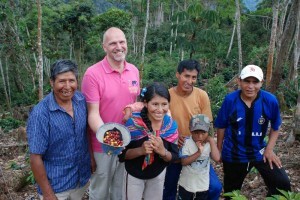 John Arild Stubberud (born 1964) has worked with coffee for many years. 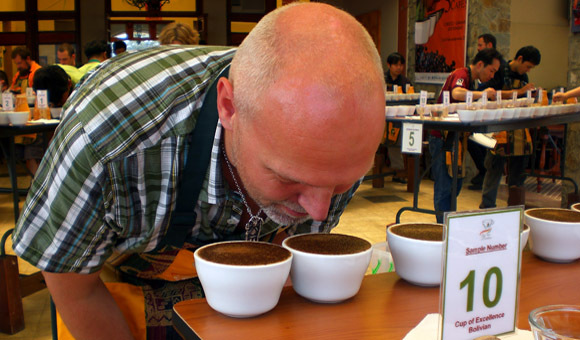 He was educated as Barista in Oslo, Norway, has worked as barista trainer in Norway, cupper and international ju dge in the Cup of Excellence Program since 2008 (in the international juries of Honduras in 2008, Bolivia 2009, El Salvador 2010, Nicaragua 2011, Burundi 2012, Rwanda 2013, Colombia 2014, Costa Rica 2015). – World Brewers Cup Championship 2016 Dublin as Head Judge. – Since 2008 John has been judging National Finals in all competitions in several European countries : the last three years more as Head Judge. In 2016 John has been Head Judge in 12 countries. In 2017 John has been Head Judge in 13 countries. In 2018, John has been Head Judge in 12 countries, among them Kenya, Brasil, Ecuador, United Kingdom, Spain, Norway, Germany and Austria, as well as training national judges in four countries. John has contacts to prod ucers in several countries and is the responsible person in Kaffee-Alchemie for coffee quality and barista training. Do not hesitate to talk us, in case you are interested in consulting coffee knowledge, improvement of coffee quality or staff training.